Any "notice-of-litigation" mail (which initiates a lawsuit) or other legal documents used when someone is trying to contact you formally or send you some type of legal notification. Corporate filing documents, including reminders regarding filing the required statement of information or other documents sent by the Secretary of State. All tax-related documents sent by the Franchise Tax Board, the IRS, or any other government tax entities. It is important to ensure that you keep accurate corporate records with the state. Failure to comply with these laws can result in costly fines, and it could even cause you to lose your good standing with the state. What Exactly Does A Registered Service Agent Do? A registered agent is hired to accept all corporate, legal, and tax documents on behalf of your business or company. This person will ensure that your company does not miss any important information or deadlines regarding lawsuits, tax payments, or filing deadlines. Why Do I Need to Secure a Registered Agent? 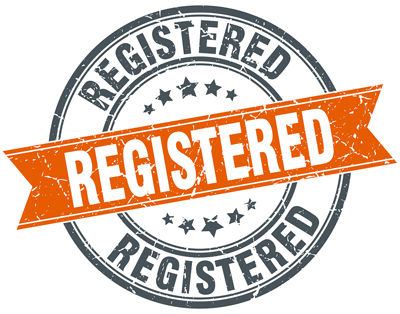 Legally, you are required to have a registered agent in the state in which you are conducting business. If you are registered in a state (for instance, California), but you do not have a physical office or business location in the state of California, then you must hire a registered agent who will accept all documents on your behalf. The state in which you have registered your business needs to have the contact information for the service agent you have selected to represent your business. Keep in mind that PO Boxes are NOT acceptable addresses for registered agents. How Do I Select A Registered Agent? There are very specific requirements that registered agents must meet before you secure them as your agent of record. MyLLC.com, for instance, offers registered agent services and are highly qualified to perform the services required. Availability and Physical Address: The registered agent you select needs to be available during normal business hours (i.e. 8 AM to 5 PM), they must also have a physical address in the state in which your company is incorporated and/or conducting business. As mentioned earlier, the registered agent must have a physical street address, as PO Boxes are not acceptable addresses. Accessible Address: Like any business, the registered state agent must have an address that can be found by anyone seeking to contact you. States do not often require your company to provide a separate address for filing documents, as these are a matter of public record. Oftentimes, your registered agent's address is the only address on these documents, meaning that it must be easily accessible to the public. It is not illegal to select yourself to be your company's registered service agent, but this is not advised. Instead, it is better to select an unrelated third-party to perform this job, as it is very important. In hiring someone else to keep track of all of the legal and tax documents your company will receive, you can rest in the knowledge that someone else will always be there to accept any important mail, which allows you the freedom to be out of the office for meetings or anything else that you might consider important to the growth of your business (not to mention a vacation or two throughout the year!). What If I Fail to Select a Registered Agent? Failing to hire a registered agent to represent your company or business is definitely not recommended, as your company could easily fall out of "good standing" with the state in which it is registered. There will be penalties, including fines and possibly a revocation of your business license. Bottom Line: Not only are you required to secure a registered agent by law, it is beneficial to your company. A qualified registered agent, like MyLLC.com provides, will ensure that no important documents are able to slip through the cracks and go unnoticed.